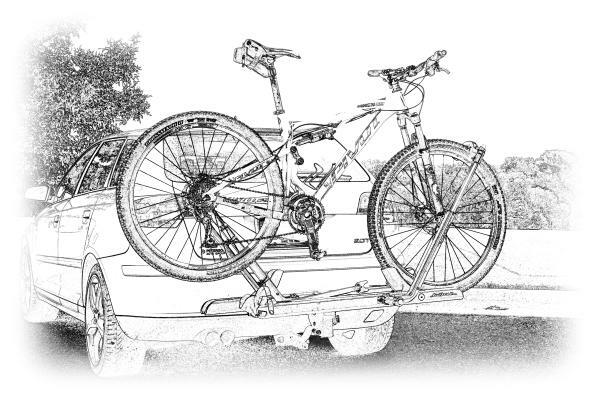 For those who transport bicycles a lot, having a great bike rack for your vehicle is a must. Another good thing is a service stand that allows simple maintenance for the bike when you get there. Clean off the dust or road grime — especially for the important parts like the drivetrain, brakes, shifters, shocks, or whatever. Get the bike ready for the adventure, the race, or the battle with friends. 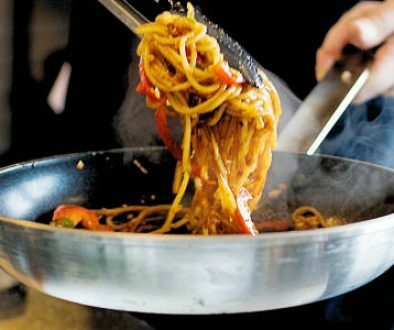 Yes, it’s always nice to do the service at home first, but sometimes that doesn’t suffice. Sometimes mother nature or the path less traveled has something to say about it. – How many times have I driven a dirt road to the trailhead and ended up with a very dusty bike? – And, how many times have I helped a friend fine tune a derailleur (or something else) before a ride? I used to carry a bike service stand — a great one from Feedback Sports — but one day it occurred to me it is actually quite redundant. One style of bike rack that has become popular in recent years is the hitch mounted rack which holds the bike’s wheels rather than the frame. In general, they are super easy to place bikes on, or to take them off. Quick and easy are great attributes. The cool part is they hold the bike quite secure with the front wheel. And, that’s mostly all you need for servicing, because most of the quick maintenance service involves the rear. (Drivetrain cleaning, derailleur adjustment, chain service, etc.) Oh, and the hitch mount bike rack is at the right height too. So, why not use the bike carrier as the service stand? Not with an added attachment like some vendors do, think much more simple. When traveling with my bike a few years ago that’s the question I asked. As I travel from place to place, I need to service the bike between rides and after long drives. As I dug out the bike service stand once again, it just hit me. The bike rack is the perfect place for service, and I don’t have to mess with the other service stand. The Feedback Sports service stand I have is actually pretty easy to work with, yet still, how much better without? Why not service the bike right on the carrier? Compare the two images (above and below). The best solutions are the simple, easy ones. 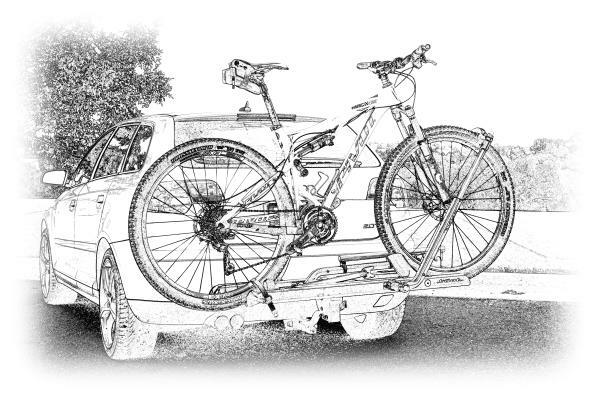 For those who carry bikes on the rear of a car, this is a simple adaptation to service a bicycle. Start with the bike on the carrier, secure the front wheel, but not against the fork. Lift the rear wheel clear of the carrier, then prop it up on the non-drive side at the axle. Super Easy. The bike rack holds the bicycle vertical (by the front wheel), then the new prop-up in the back. With the rear axle up, the rear wheel, crank, derailleurs, etc. are free to function like in a shop service stand. The design innovation is the dual function for the bicycle carrier. One small addition and it now serves multiple functions. These images (and the video below) show various stages of the prototypes. The real solution will eventually integrate sweetly within a production bike rack. The essence of the invention is a special shape prop end (or cradle or holder) that connects to or is integrated into the bicycle carrier. The carrier holds the bike, then the prop end suspends the rear of the bike up, off the carrier so the rear wheel and drivetrain can function for service or repair. 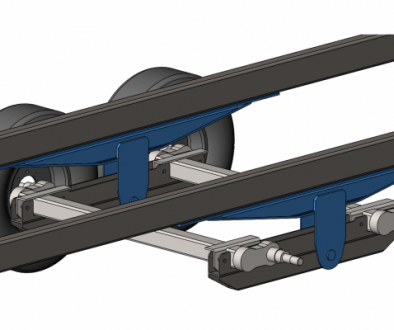 The invention relies on the bicycle carrier features to keep the bike from tipping over because the prop interacts with only one side of the rear of the bike. Typically the prop holds the frame, rear wheel axle or rear wheel axle mounting hardware. Using the bicycle carrier and functionality it already has to restrain the bike eliminates extra hardware, and places the bike in an easy position for service. 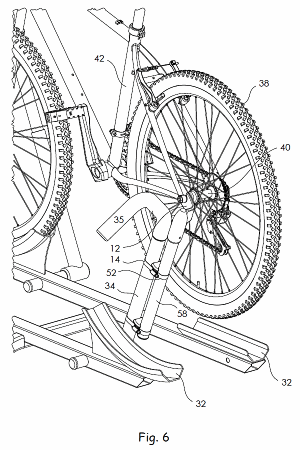 It also drastically simplifies the process of positioning the bike for service work. 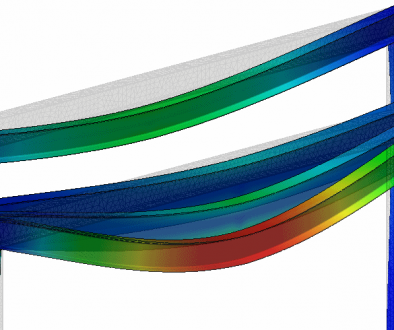 This post describes primarily just one style of rack, yet it’s easy to adapt for other styles too. The front wheel may hold differently, or perhaps the frame of the bike to hold it vertical. These variations don’t matter, because it’s the bike rack that becomes the service stand. Are you following with the description? I feel like it’s a little confusing, even with pictures. So, if a picture is worth 1000 words, then what is a video worth? Well it just happens we have a video. As you watch, think about the question: How easy it is to use? There’s probably not much else to say. This new little innovation is a simple and cheap way to get bike servicing capability on your bicycle carrier. Again, this is only one adaptation. It also works on other bike rack types. Stay tuned, and we’ll post videos of other bike rack systems with the device. The innovation is currently patent pending, and we’re open for licensing discussions. If you have an interest, please let us know. In the meantime, we’re considering offerings as retro-fits to current racks. That is not confirmed, but if you want one, drop us a line. Case Study: Suspension Engineering with Twin Torsion Axles – Part 2 Pros and Cons: Foreign Manufacturing or Domestic?